Well not really. I haven’t been diligent when it comes to collecting features and editorials I’ve been part of (especially the ones abroad *tear*). And the ones that I’ve managed to pick up however, I’m only able to share with you now. But, as the saying goes, better late than never, so here are a few of the features that I’ve been lucky enough to be included in. A short interview on Asian Dragon’s September – October 2012 issue. A style challenge on a budget that I took on for Cosmopolitan Magazine’s November 2012 issue. LOOK Magazine’s “It” girl for February – March 2013 issue. Styled myself in head-to-toe Forever 21 for Forever 21’s special magazine. 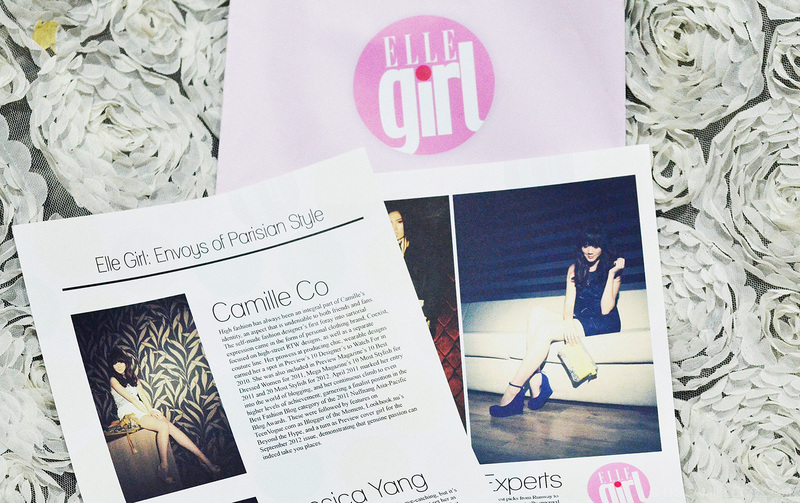 Featured here as one of Elle Girl’s brand ambassadors. 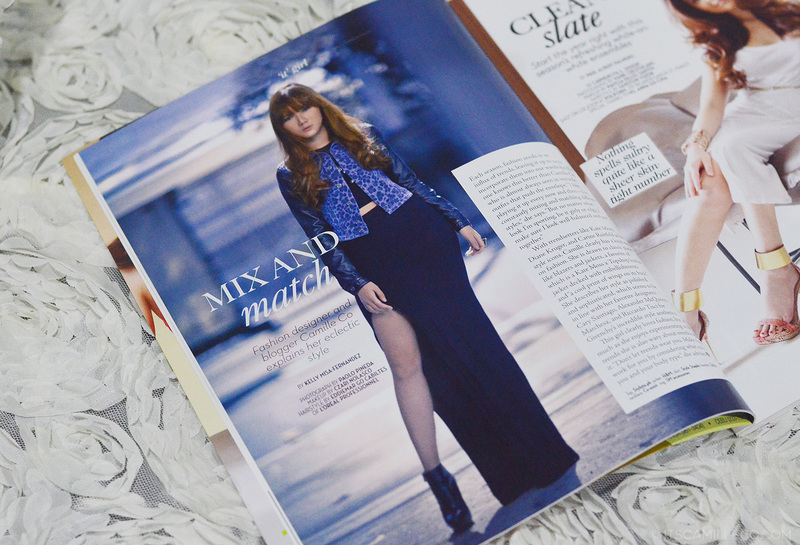 A short feature and interview about Manila’s style bloggers for Metro Magazine’s June 2013 issue. Here’s a blown up version of the tiny tiny photo below our group shot. Since this wasn’t credited on the magazine, for those wondering, I’m wearing a Jot Losa creation paired with Brian Atwood heels, F21 necklace and custom-made diamond pearl earrings. Thank you for making all these possible, my dear dear readers! These are all because of you. I promise to be more diligent with collecting these things in the future so that I can share more with you and we can celebrate together! Oh it is? Thank you! My friend who lives in Germany found your blog to me, Cause she said my face same like your some of photos..
so i started to read your blog. its very nice for me. Like your blog so muchh..
Can you tell me where can i find the post of the look in picture 2? I hope so too! :) Thanks Diana! wow! :D natawa naman ako dun sa camera part :)) nkasarado pala. still maganda! Hi.. Just wondering why you didn’t include the preview mag where you, tricia and laureen were the cover? grabe..got teary eyed with all your exposure..haha it might be OA in a sense pero I dont really know din to myself why ee..hope to see you on TV too haha ..
All is great and all hyped up! 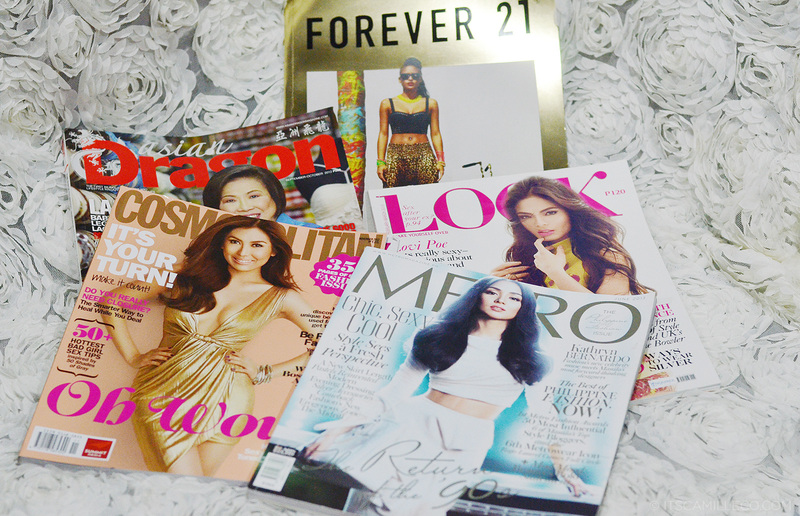 I’m a great fan of yours ’til forever :) Haven’t you blogged about your outfit for LOOK Magazine’s “It” girl for February – March 2013 issue? CONGRATULATIONS! I’m so proud to be a fan of yours. Your blog is my daily dose of style updates and trends, and it is a joy to look through your adventures whether here in the Philippines or abroad! Thank you for all the time, effort, and patience you take to share your fashion thoughts with the world. I always see from the way you light up in your photos that you absolutely love what you’re doing. I can’t thank you enough for the inspiration! P.S. : Can’t wait to see you in more features! I have this feeling you’ve got a whole lot more ahead of you! I’ll always be one of your avid supporters. WOW! Just WOW! Haha so amazing and happy for you Camille! Keep it up! I really do hope to meet u soon! Your last dress looks really nice! congratulations camille! you deserve t! Heima has so much of those. :) You’ll love then all! My fave would be that of LOOK magazine. You look good in blue… but well, you look good in everything! Ang ganda talaga nung shot and you look really good. Parang pang next top model! you look amazing!congrats on your success! Congrats Miss Cams. Next, you will be the magazine cover na. solo. hehe. 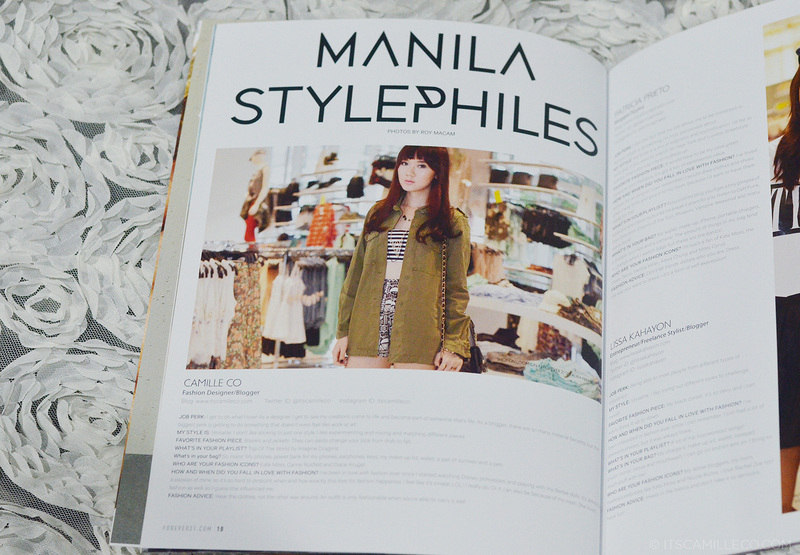 Hi Ms. Camille, I am always glad to see you featured in a magazine, I like how you style (it’s realistic kase eh :p).